Enjoy a nights stay at Poring Hot Springs before the summit ascent of Mt Kinabalu in our 3D2N Mountain Climb with Poring Hot Springs. Meals: 1 x Packed Lunch, 2 x Dinner, 1 x Supper, 2 x Breakfast, 1 x Lunch. Our 3D2N Mountain Climb with Poring Hot Springs package is suitable for those who have an extra night to spare before their climb. 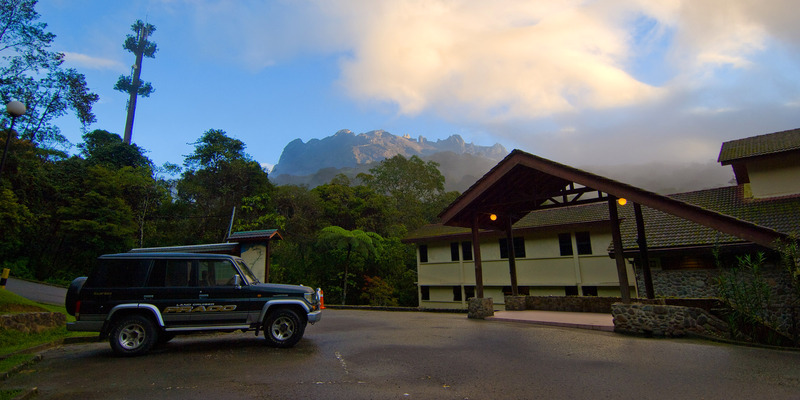 An overnight stay at Poring Hot Springs means you have the opportunity to visit the attractions within the national park and perhaps learn more about the UNESCO World Heritage Site. 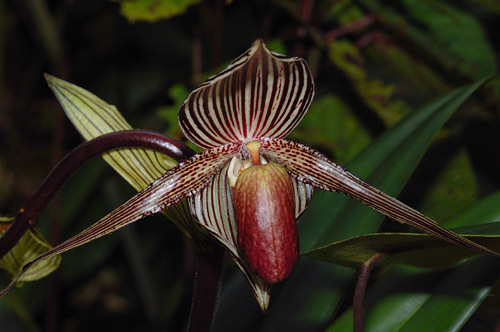 See the rainforest from another perspective within the tree canopy at 40m above jungle floor. 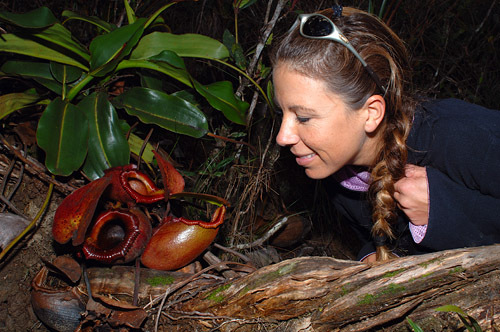 Admire the beautiful butterflies, search for the Rafflesia bloom, the largest flower the world. 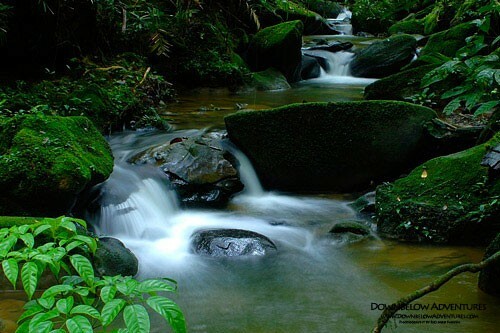 Or if you are not too worried about conserving your energy you can visit Sabah’s 100m waterfall. Pick up as stated on your Itinerary. 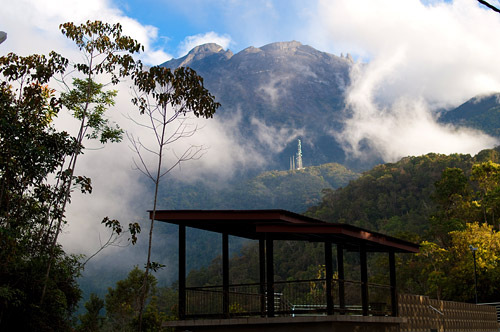 Enjoy a two hour road journey through the Crocker Range to Kinabalu Park. 1130hrs – Arrive and with the assistance of our driver register for the mountain climb. 1400hrs – Check into accommodation. 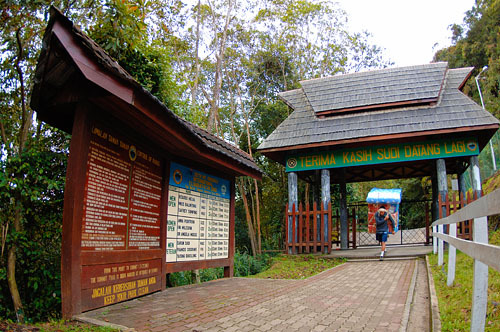 You are free to take breakfast at the Rainforest Restaurant, be ready for your transfer to Kinabalu Park to start your climb. You would have agreed the meeting place and time to meet your mountain guide the day prior during registration. Collect your packed lunch from Balsam Restaurant. Meet your Mt Guide and transfer to Timpohon Gate (the starting point for the summit ascent). Short briefing by the mountain guide and set off for the climb. Ensure you do not climb too fast, try to aim for 6 hours or more to reach Panalaban, this is to reduce the risk of altitude sickness. Packed lunch en-route. 16:00 Arrive at Panalaban (3272.7M). Check into accommodation, free at leisure. Meals: Buffet Breakfast, Packed Lunch & Buffet Dinner. 02:30 Depart from your accommodation with your mountain guide for Low’s Peak Summit (4095 m). 05:30 Aim to reach the summit in time for sunrise. Descend to Laban Rata for breakfast. 13:00 Transfer back to Kinabalu Park’s HQ and meet our driver. Enjoy lunch before transferring back to Kota Kinabalu. 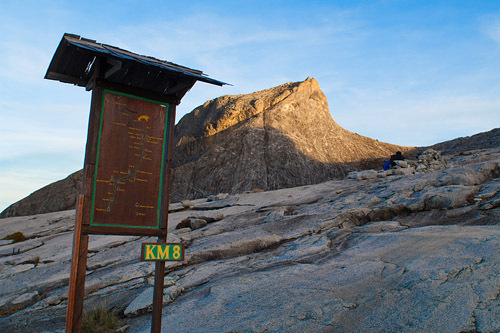 You may have to wait for other climbers unless you have arranged a private transfer back to Kota Kinabalu. Last transfer from the park is 1700hrs. Meals: Late Night Supper, Buffet Breakfast, Lunch. *Private Transfers are Available & Subject to an Additional Surcharge. • Tourism Tax MYR 10.00 per room per night (this will be added to your room bill on location). Sleeping bags are provided at Pendant Hut only. 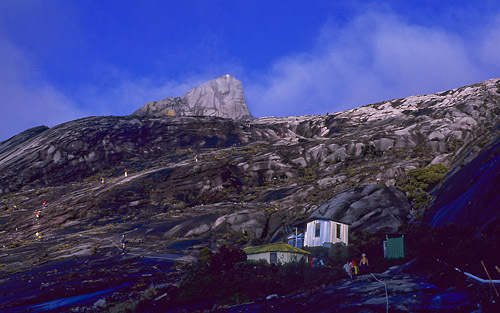 Bedding (blankets) are provided at Laban Rata Resthouse. 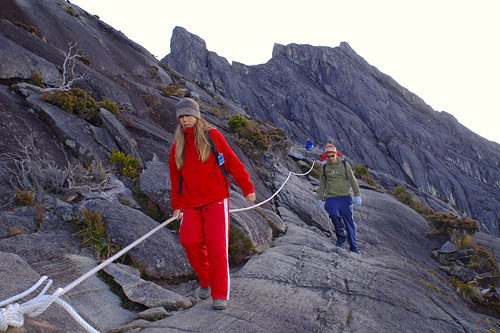 Return road transfers between Kota Kinabalu Hotels and Kinabalu Park are provided by Downbelow in our licensed mini-vans on a shared basis with other climbers that day (for our clients only). This is a door-to-door service with multiple pickups & drop-offs throughout the journey. Do expect some short waiting time. We may change the pick up time the day prior to your climb to minimise the waiting time so please ensure you are contactable for such notice. We suggest buying a local SIM card while in Sabah, please advise us your contact telephone number. Our group rates are quoted with one pick up and one drop off point, meaning the group is transferred at the same time. 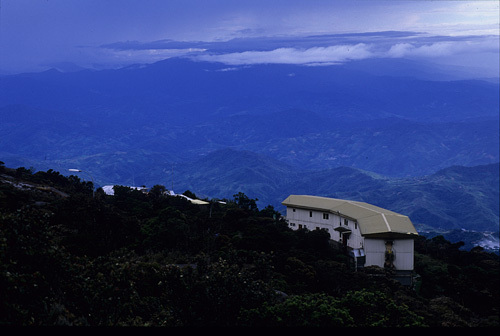 For stays at Lamaing Hut & Laban Rata Resthouse, Gunting Lagadan Hut at Panalaban Plateau (mid-way accommodation on Mt. 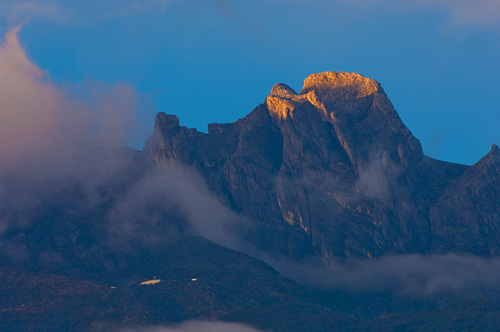 Kinabalu), please note that the check out time is at 1030hrs. 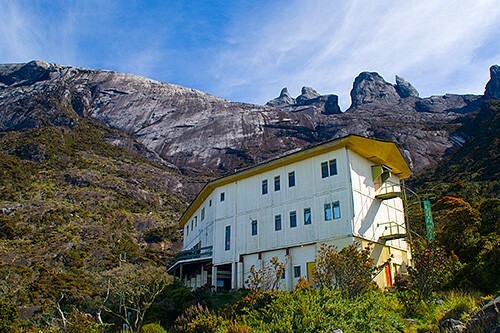 A fee of MYR 50 per hour at Lamaing Hut and MYR 50 per half hour at Laban Rata Resthouse, will be levied for late check outs and is to be paid directly to the Resthouse / Hut. Unless otherwise stated your booking includes a private mountain guide (for bookings of 2 pax and more) and you will not have to share your guide with other climbers, this way you may climb at your own pace. However, during peak season, there may be a possibility that you would need to share your mountain guides with other climbers (maximum of 5 climbers to 1 Mountain Guide), should this happen we will refund the difference for the shared mountain guide accordingly and we ask that you stay with your Mountain Guide at all times. Children require their own guide on a 2:1 ratio. Therefor a child surcharge may apply and will be included in your overall cost. You will see from our packing list that these are suggested items. A head torch is especially important during your final ascent in darkness from Panalaban Plateau to the summit. 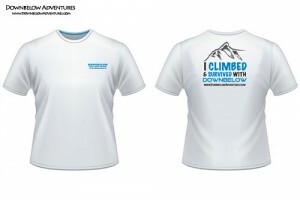 We sell a variety of such items in our Dive & Adventure Shop, we also rent them to our climbers. A. No. Unfortunately we are bound by the climbing operators T&C and there is no refund offered for climbs cancelled due to weather. Usually you will still manage to climb to the Panalaban Rock Face at 3,200m which is still a great achievement. It will be the final ascent that may be cancelled due to poor weather and strong winds. You will only know this in the early hours of the morning when the mountain guides conduct their final environmental check. The policy is “Safety First”. A. No, unless otherwise stated your booking includes a private mountain guide (for bookings of 2 pax and more) for your booking only, you will not have to share your guide with other climbers, this way you may climb at your own pace. Occasionally your pre-arranged mountain guide may be sick or unable to climb and we will then need to arrange another mountain guide at short notice. Sometimes then we will ask you to share a guide and we will refund you the difference between a private guide and shared guide. The mountain guides are compulsory and are with you to keep you safe, ensure that you stay on the correct summit path and should visibility reduce due to rain or fog, ensure that you do not become lost or disorientated. Also should you need assistance or evacuation they will summon it for you. A medical declaration must be read, completed and returned to us no later than 10 days prior to your climb. This program is not not suitable for children below 10 years of age.